1. Begin composing a new message. 2. Tap the Attachment icon. 3. Tap the camera icon and snap a picture. Choose if you want to Accept or Retake the photo. 4. You return to the message composition screen, and the new picture is added as an attachment. 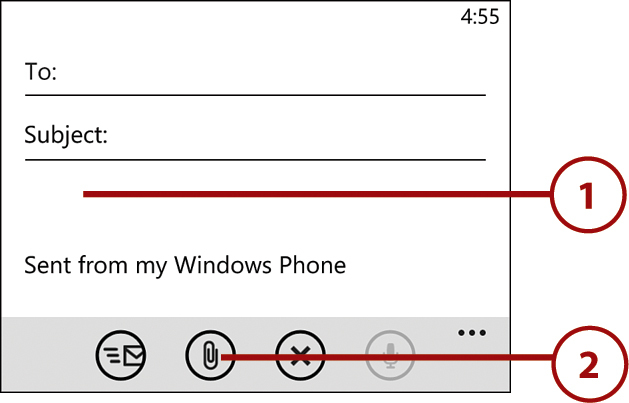 Although the message composition screen contains an attachments icon, the only type of attachment you are allowed to add to messages is a photograph. 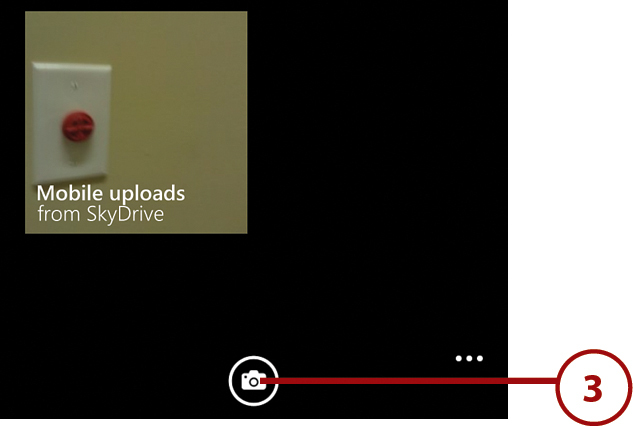 Windows Phone 8 does allow you to send other types of files as email attachments, but you must do so through the application that created the file. 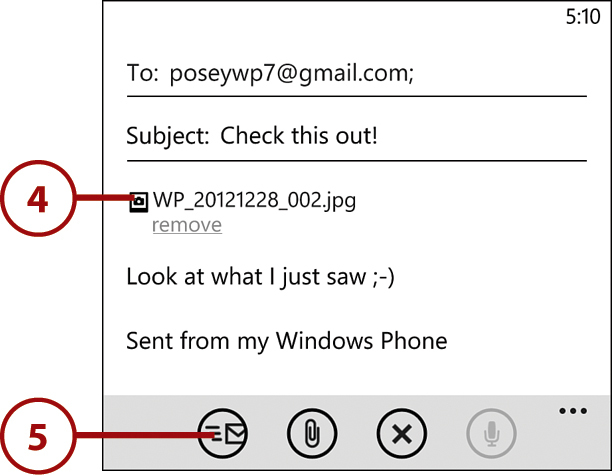 For example, if you want to send someone a Microsoft Word document, you must do so through Microsoft Word Mobile.